As a holy city for Judaism, Christianity, and Islam, Jerusalem has always been of great symbolic importance. Among its 220 historic monuments, the Dome of the Rock stands out: built in the 7th century, it is decorated with beautiful geometric and floral motifs. It is recognized by all three religions as the site of Abraham’s sacrifice. 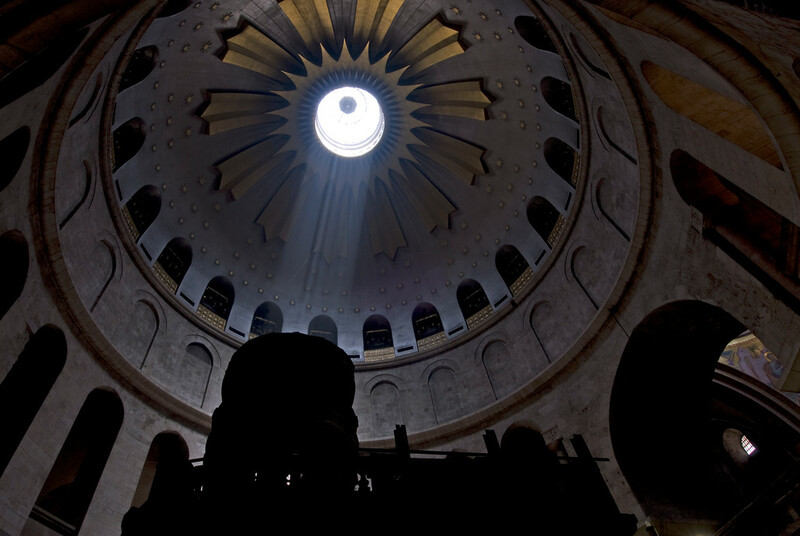 The Wailing Wall delimits the quarters of the different religious communities, while the Resurrection rotunda in the Church of the Holy Sepulchre houses Christ’s tomb. The old city of Jerusalem is such a small place, yet on a square meter basis, it contains more history than perhaps any other city in the world. When you walk down the streets you can get lost and still run across things which have some historical or religious significance. This photo was taken from the Mount of Olives across the Kidron Valley. 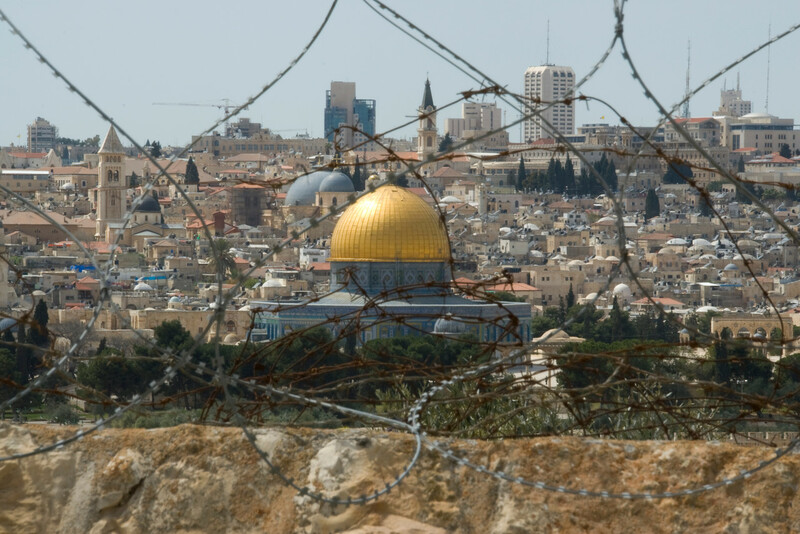 I thought the barbed wire over the city conveyed the conflict and struggle over the city, which has changed control over 40 times in its history. The Old City of Jerusalem and its Walls is a UNESCO World Heritage Site in Israel. This ancient city is home to many of the world’s holiest places, especially in the Christian world, but also for Jews and Muslims. The property known as the old quarters in Jerusalem is composed of 226 historical and religious monuments shared by Christianity, Judaism, and Islam. 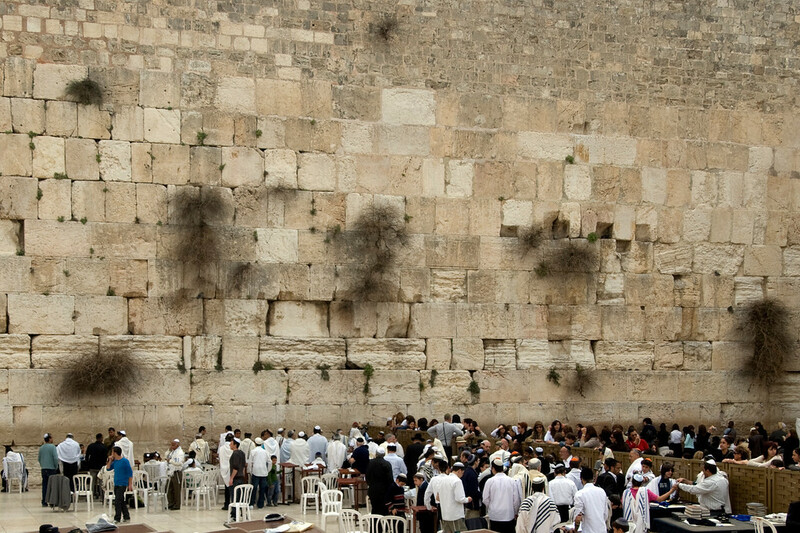 For the Jews, the Western Wall is the holiest of these places. For the Christians, it is the Church of the Holy Sepulchre. And for the Muslim, the Dome of the Rock is the most significant monument in Jerusalem. This property was inscribed into the UNESCO list in 1981. However, it was cited as one of the UNESCO World Heritage Sites in Danger in 1982 due to religious violence and rapid urbanization surrounding these monuments. The Old City of Jerusalem and Its Walls is one of the most popular UNESCO sites in the world, not just in Israel. The Old City of Jerusalem is the primary attraction within this property since it is home to some of the most important historical and religious monuments in the world. The Old City measures about 0.9 square kilometers in size. It is a walled area that is located within the modern city of Jerusalem. This area is what made up the city of Jerusalem prior to 1860. The Old City, as this walled area of Jerusalem, is referred to, features many sites of religious importance. During the earlier times, it was also divided into four uneven quarters: Christian Quarter, Muslim Quarter, Jewish Quarter and Armenian Quarter. The monumental walls that surrounded it were constructed sometime in early to mid-16th century. During the time wherein Jerusalem was still part of the Ottoman Empire, the then Sultan Suleiman I commissioned for the old city walls to be rebuilt. It took four years to complete building the walls of Jerusalem. The entire length of the wall measures at over 4,000 meters with an average height of 12 meters. Meanwhile, these walls are roughly 2.5 meters thick! In total, it has 7 main gates and 34 watchtowers. When it was built, the walls served to fend off its intruders. Today, it is one of the main attractions among tourists who visit The Old City of Jerusalem and its Walls. Church of the Holy Sepulchre: This church is located within the Christian quarter in the Old City of Jerusalem. In fact, the quarter was developed around it and there are up to 40 other holy Christian sites surrounding it. But this church is highly important to Christians as this is believed to be the site where Jesus was crucified and buried. 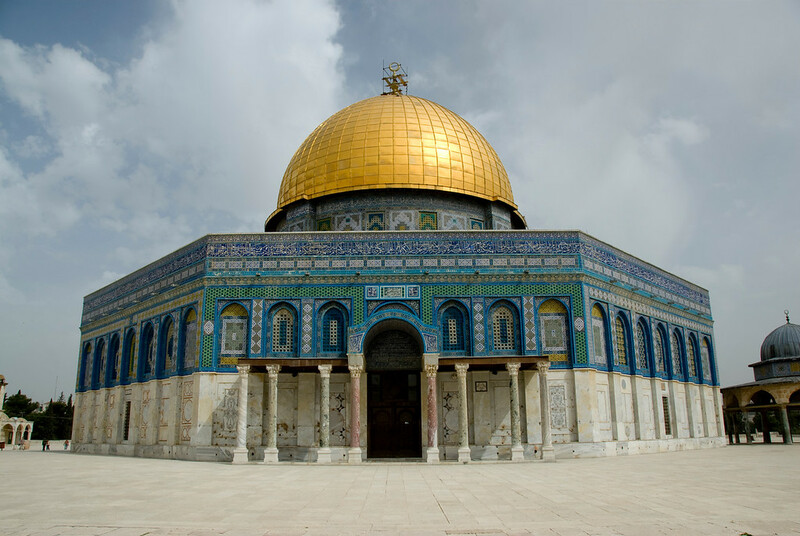 Dome of the Rock: This structure sits atop the Western Wall and is a building that is open even for non-Muslims. This Islamic Shrine is located at Temple Mount and was opened in 691 AD. Aside from being of religious value to Islam, it is also notable for its unique architectural style that blends Ottoman, Islamic, and Byzantine influences. Western Wall: This one is one of the most important monuments in the Jewish Quarter of Old Jerusalem. Its connection to the Temple Mount is one of the reasons why it has been deemed as sacred by the Jews. This is an ancient limestone wall that is the only one left standing of an ancient retaining wall.